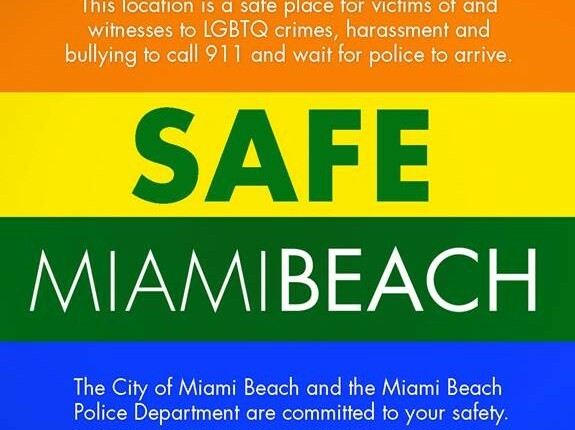 In an effort to protect some of the City’s most vulnerable citizens, businesses and organizations can now sign up as “Safe Spaces” where members of the LGBTQ community can go for help if they are harassed or the victim of a crime. Identified by a decal in the window (above), safe spaces allow victims to enter and remain at the establishment until police arrive and will provide assistance in calling 911. According to data from the FBI, members of the lesbian, gay, bisexual and transgender communities are the most likely targets of hate crimes in America.